Keep your horse and foal safe, with the Premium Foal Birth Alarm (also known as the Birth Alarm Mobile Premium - Smart). This alarm will alert up to 4 mobile phones when contractions start and it can also send SMS messages. This premium version comes with a sleep setting for mares that sleep lying down, which increases the reliability of the system. The transmitter is attached to the mare's back in an anti-roll girth or to the halter, or the the headcollar, which some horse's prefer. It can be used both indoors and outdoors. This Premium alarm can also send SMS updates on the battery level, the number of contractions and the network coverage. The alarm is very easy to install and operate. Please note, the anti-roll girth is optional and is sold separately. We think: Thank goodness for modern technology! 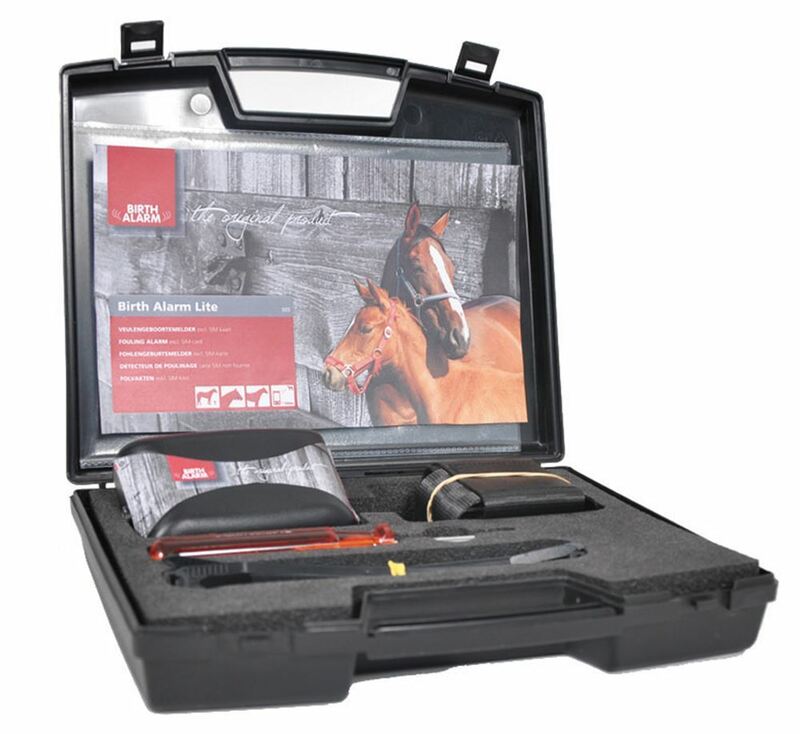 If your budget can stretch to it, this is a wonderful and reassuring device to help you keep your horse and foal safe. Very easy to use and exciting to know your phone will let you know the second the contractions start!